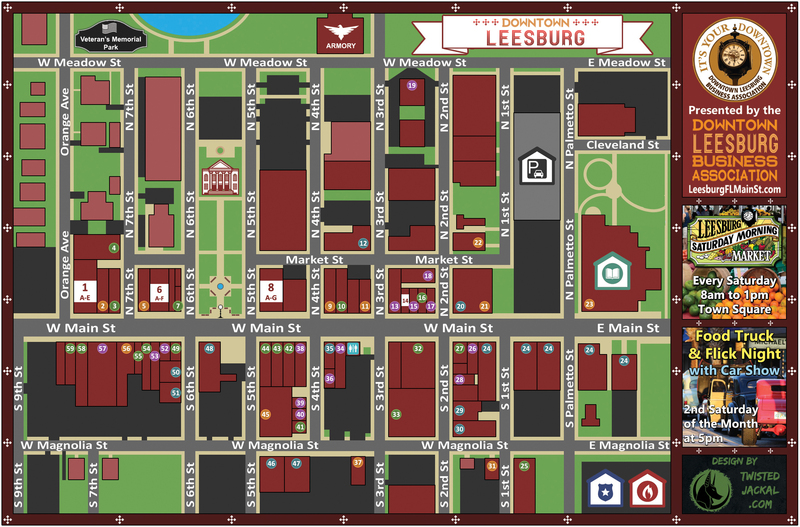 I had just recently joined the Downtown Leesburg Business Association, and in an effort to get my name out there and maybe win some new clients, I volunteered to design the new Map of Downtown Leesburg. Oh, how naive I was… I had no idea just how much work designing a map from scratch was. It took an eternity to finish it, but the end result is magnificent! I tried to go with something simple like Google Maps, but the perfectionist in me wasn’t satisfied with the small inaccuracies from Google Maps. Instead, I used Google Satellite view to create my own map from scratch, so that it would be pixel perfect to scale. I kept the colors a nice pastel and used the beiges and maroons that you’d naturally see if you were in the Downtown area. 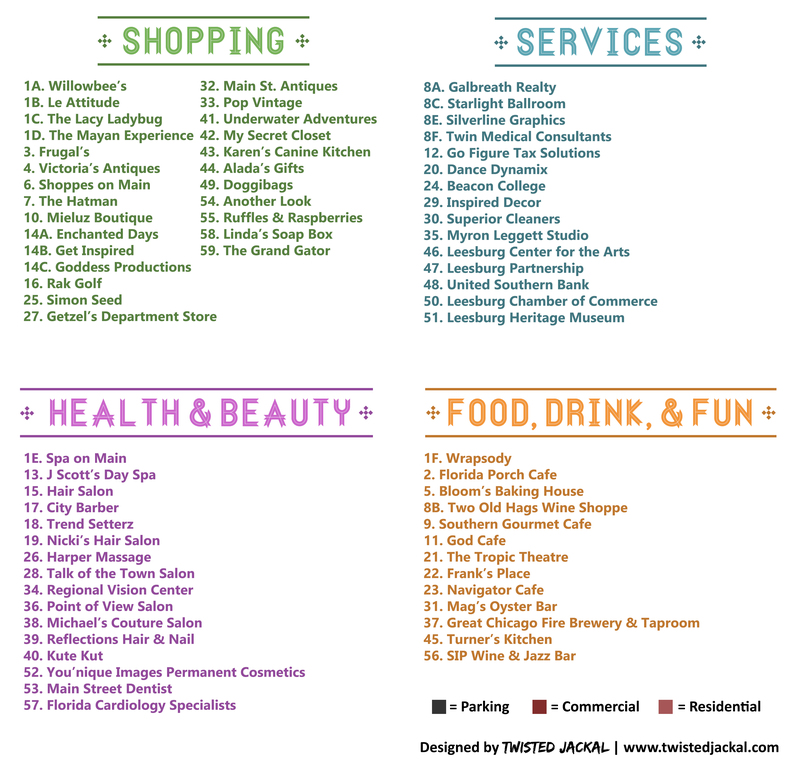 Once it was finished, we printed a few hundred copies and gave them to the local shops and restaurants to pass out to customers. Downtown Leesburg might be a quaint little area, but it’s now got a map that rivals huge tourist cities such as Savannah and St. Augustine!